Starbucks Corp. (Nasdaq: SBUX) stock saw analyst upgrades today (Friday) after posting stronger-than-expected earnings Thursday. Indeed, in the battle of the brews, Starbucks is handily winning over Dunkin' Brands Group Inc. (Nasdaq: DNKN). While Dunkin' has die-hard fans in New England, and Starbucks is easily consumers' favorite on the West Coast, quarterly earnings posted Thursday from the two java giants is clear evidence of Starbucks' lead. Starbucks reported its 18th consecutive quarter of same-store sales gains of 5% or more when the Seattle-based coffee titan reported third-quarter numbers after Thursday's close. 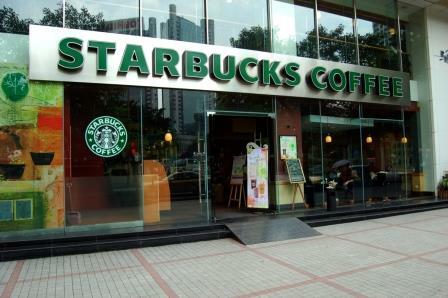 SBUX earned a profit of $512.6 million, or $0.67 per share, in its fiscal Q3 ended June 29. That was up from $417.8 million, or $0.55 a share, in the same quarter a year ago. It was also ahead of the company's projection of $0.64 to $0.66 per share for the quarter, as well as a penny better than analyst forecasts. Revenue rose 11% to $4.15 billon, beating the expected $4.14 billion. Operating margins improved to 18.5% from 16.5%. Sales in the Americas climbed 6%, driven by new food and beverage offerings and not increased prices. Price boosts accounted for just 1% of check growth. Sales in Europe, the Middle East, and Africa increased 3%. Sales in China and the Asia-Pacific region rose 7%, "a stunning achievement," Chief Executive Officer Howard Schultz said Friday in a CNBC interview. Starbucks now has 1,300 stores in China and is just starting to crack the morning (tea) ritual in the region, Schultz added. Helping Starbucks grow profits in Q3 was an overhaul of its Tevana drinks and La Boulange baked goods. Breakfast sandwiches sales jumped 40% in the quarter.